This year, Sega will release the Mega Drive Mini, its own take on the retro console craze which Nintendo has done rather well out of in recent years with the NES and SNES Classic Editions. However, it's not the first time that the SNES rival has been resurrected using modern technology; in fact, we've been seeing clones of the Mega Drive / Genesis for the past decade, the vast majority of which have been pretty terrible. Plagued by poor emulation, terrible controls and hopelessly inaccurate sound replication, these devices have been huge disappointments – and the ones which carry Sega's official blessing haven't been any better either, often exhibiting the same issues because they're based on largely the same 'system on a chip' tech. 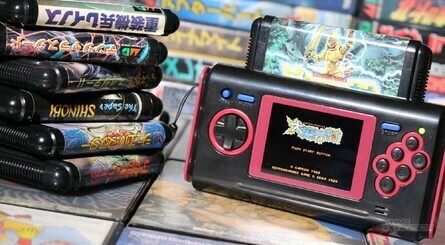 When news hit our ears that Japanese company Columbus Circle – which has been doing a good job of resurrecting classic games in recent years – was about to release its own portable Mega Drive clone, we had little reason to suspect it would change this sorrowful tradition. Nonetheless, we duly ordered one – mostly out of morbid curiosity – and we've been pleasantly surprised. 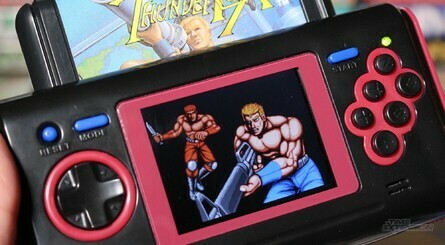 Not only does the unit come with a good screen that really makes the pixels stand out (although viewing angles aren't brilliant and some games appear slightly stretched), it also has a fantastic rolling D-pad and a six button setup which means you can play games like Super Street Fighter II perfectly (in case you were wondering, it works fine with games like Forgotten Worlds and Golden Axe II, both of which have issues with the official six-button controller on original hardware). It's also comfortable to use for prolonged periods and is highly portable. Oh, and Mega Everdrive carts work on it, if you're into that kind of jazz. It's not perfect, by any means; the sound, while better than we've heard on other clones, still isn't quite right and bass notes cause the speaker to distort, even when it's at quite a low volume. The unit doesn't have an internal rechargeable battery either, and relies on four AAA batteries for power, which give around five to six hours of play. 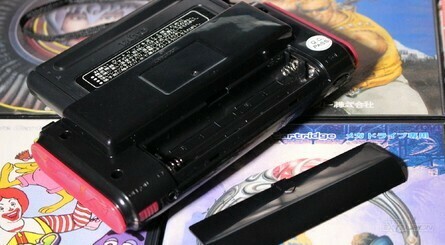 Despite the quality of the screen and the controls, the 16Bit Pocket MD looks and feels a little cheap, and almost looks like a prototype in some places; for example, on the top edge there's a 'DC 5V' mark next to a blank piece of plastic, which suggests that Columbus Circle had intended to include the ability to power the unit from a wall charger, but removed it at the last minute. Elsewhere, the casing doesn't quite fit together snugly enough, and we found that our copy of Virtua Racing – which includes Sega's Super FX-beating SVP chip – refused to boot. 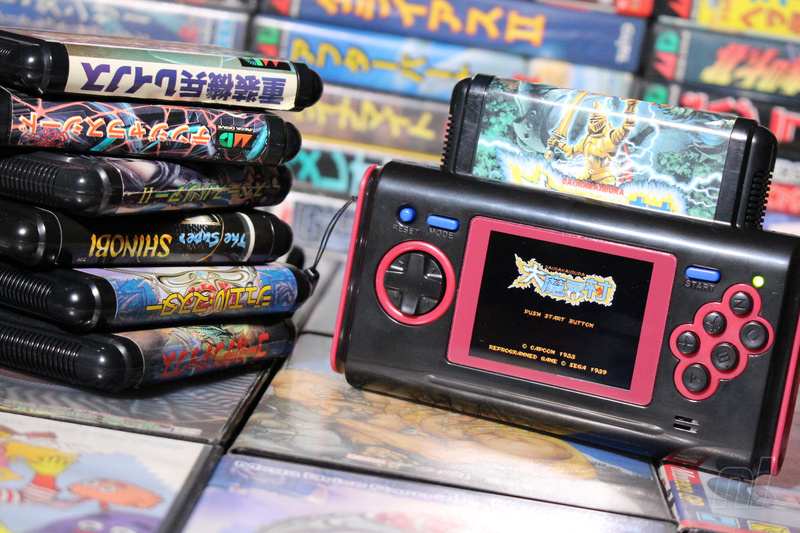 PAL and North American games with region locking refused to work too, which means the 16Bit Pocket MD is imitating a Japanese Mega Drive console on a hardware level. 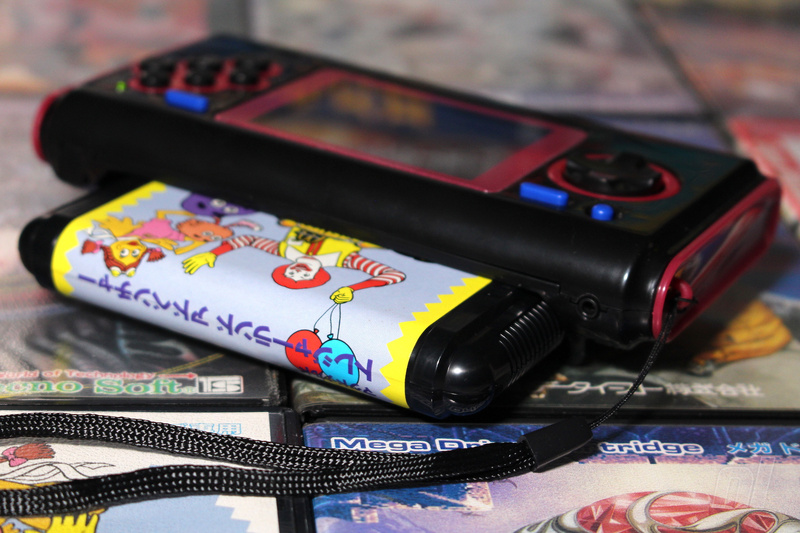 The 16Bit Pocket MD also has AV-out support, but it's via composite and the quality is predictably poor; it's a nice bonus but not something you'll want to make much use of. 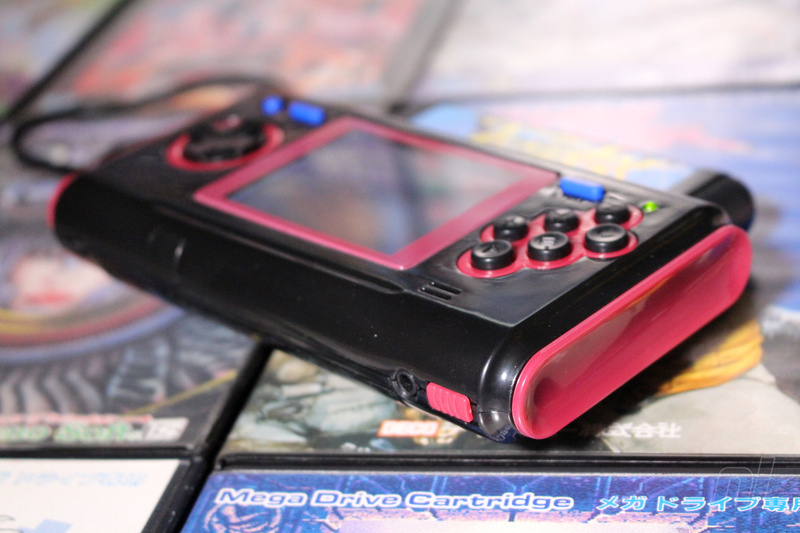 The inability to plug in a second controller also means that you're limited to single-player games, both in TV-out mode and when used as a portable (Sega's own attempt at a portable Mega Drive, the Nomad, had a controller port on the bottom to overcome this). 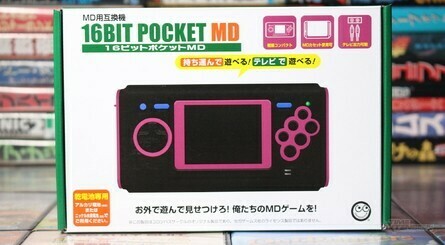 In so many ways, the 16Bit Pocket MD repeats many of the mistakes other Sega clone systems have done; it's a cheaply-made device rather than a premium proposition. But it gets the most important things (mostly) right – the controls are great, the screen is good and, by and large, performance is of an acceptable standard (although those of you who refuse to accept anything but FPGA quality will no doubt find plenty of issues). 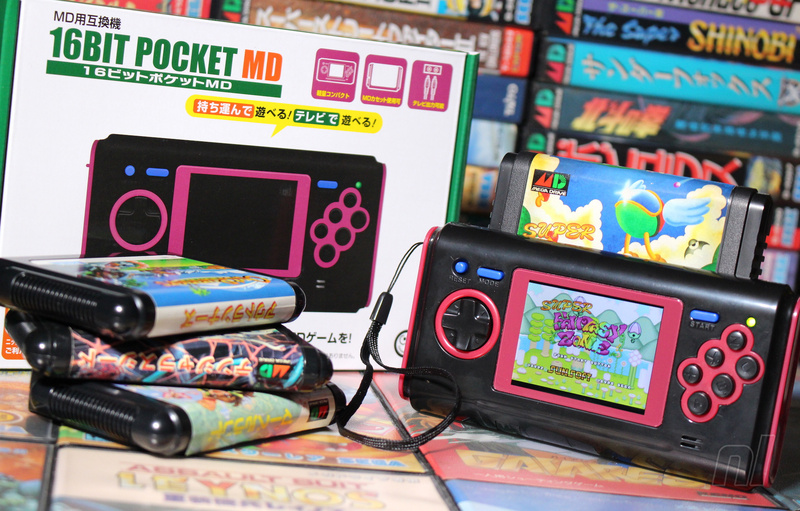 The really puzzling thing about the 16Bit Pocket MD is how hard it is to get hold of; our unit was pre-ordered via Play-Asia before Christmas and was subject to several release date delays before finally arriving this week. Play-Asia is now completely sold out, and a quick glance online appears to suggest that Amazon Japan and Columbus Circle's own online store are the only places that have stock right now. If you're brave enough to order from either then you can pick one up for around £43 / $55, not including international shipping. It's worth noting that Columbus Circle has also released a portable Super Famicom with HDMI-out support, although that appears to be just as hard to get as its Sega sibling. 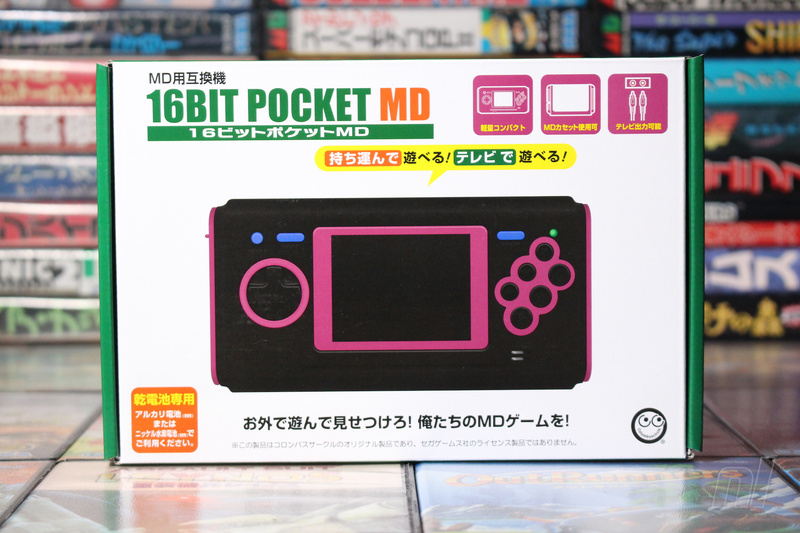 If you do somehow manage to get your hands on a 16Bit Pocket MD, we can't imagine you'll be disappointed, especially for this price. 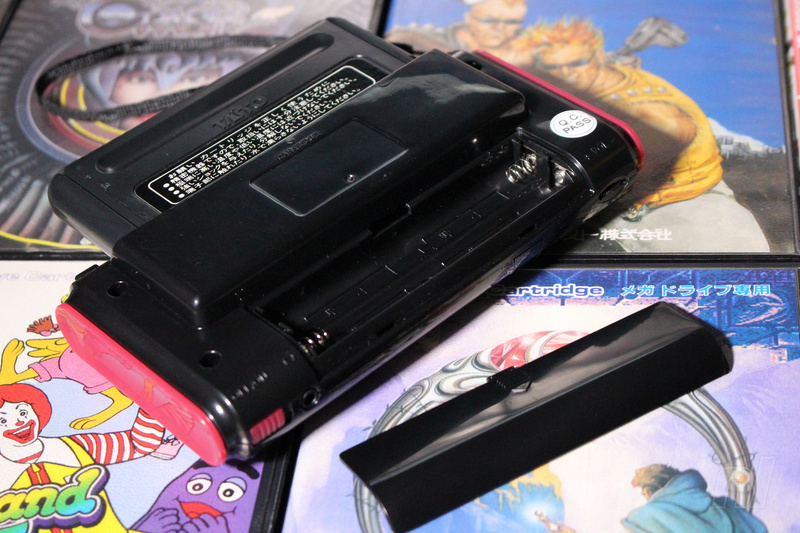 While the Sega Nomad remains the portable console of choice for diehard Mega Drive / Genesis fans, its muddy screen and terrible battery life count against it in 2019; the 16Bit Pocket MD may not be perfect, but it does at least solve these two issues. Can you put American/European games in it? 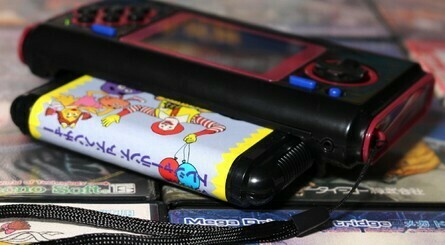 For that price and portability I can deal with emulation. I might wait for that other Nomad clone that's releasing later this year and see which is best. Hardware Review - "We didn't test any PAL or North American games on it, so we can't say for sure that they work"
I don’t understand why the MD’s sound channels are so hard to replicate! If an Everdrive cartridge works, this isn't emulation. Rather, it's a hardware based clone using Genesis-on-a-chip technology. 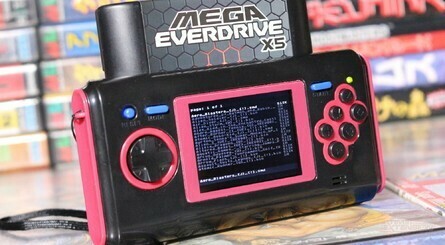 @Atariboy Which is emulation. That's how the <insert game console> on a chip works. The hardware does not exist to run the games directly, and most, if not all, of the system's original features are implemented in software. 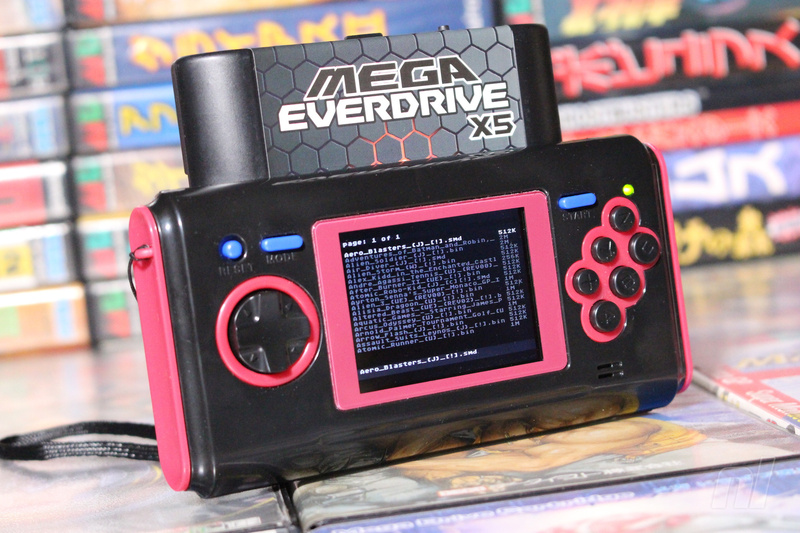 Additionally, whether an Everdrive works on has no relevance as to whether or not something is emulated - you can use physical carts/discs on most PC emulators as well. Admittedly, the word clone and emulation can both be used to refer to many things, but this is not a hardware clone in the same way that something like the Analogue Mega SG clones the original hardware in FPGA, or how Cyrix cloned Intel processor architecture in the 90s. I just only care with NES / SNES games to be played on 16 bit Pocket HDMI. They had to come and make AtGames look better. Emulated? No thanks, I'll just grab my nomad, giant battery pack and all. @boatie No , you will get shot. 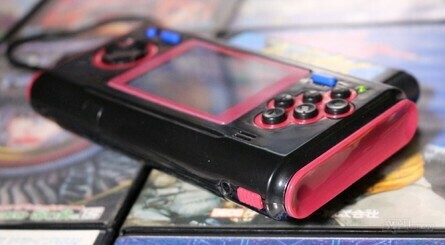 I found a website that restores Game Gears and Nomads. 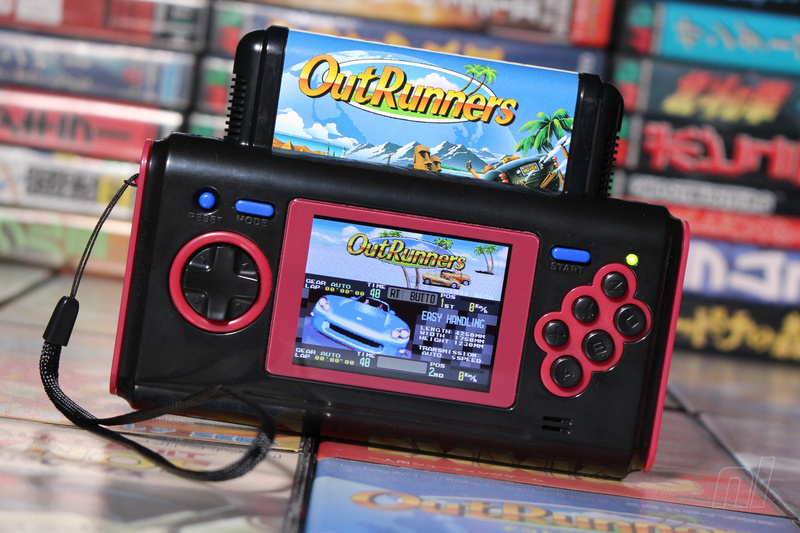 The Game Gears are beautiful with LCD screens, painted shells, rechargeable batteries installed with a charging port and mods done for better capacitors and speakers. They do stuff similar to Nomads. Of course the price is reflective for the work that's been done but if you want the best way to play Sega Games officially and portably, it's the best solution I've found. I had no idea Streets of Rage is called Bare Knuckle in Japan. Much prefer the title and case art we received in the West. @roadrunner343 I am not sure why your reasonable explanation got two thumbs down. So I gave it a thumbs-up and I appreciate your clarification for those who do not know. @Gravitron So you hate it for being a good game or do you hate it because the dev who work on it are better off making a better game? Still waiting for the Analogue MD later this year - if the SNES version is anything to go by it should be the final word in emulation. @roadrunner343 Which isn't emulation. Emulation is a software program that virtually replicates functionality of an older system within a software program that's operating on a newer platform that otherwise wouldn't be able to run game code from the older platform. This isn't what's going on here, so I suggest you do more research since your confidence very much is misplaced. A Genesis-on-a-chip, much like the infamous NOAC, is a hardware replica in miniaturized form on a single integrated circuit. There is no software middleman operating as a translator of sorts. 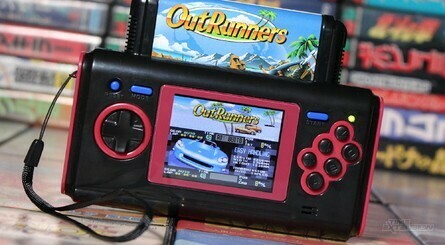 It is hardware only and natively will run Sega Genesis software. This is why it's able to interact with an Everdrive, where as emulation based clone systems, which don't have a live cartridge bus and instead dump the contents of a cartridge and run the resulting file, won't. How emulation based systems operate with cartridges breaks how a flash multicart and other devices with multiple step loading like Game Genies operate. This is why you won't find a single emulation based clone system out there that will interact with something like an Everdrive, SN2SNES, Cuttle Cart, Harmony cartridge, Powerpak, and so on (And is why one can confidently state that this isn't emulation if a Genesis Everdrive is working). These ASIC solutions are doing exactly what a FPGA based system does to directly execute game code from an older platform, just in a non-reprogrammable way where as a FPGA based system can have its integrated circuit be reconfigured on the fly by the customer after manufacturing just by loading in a new profile or updating firmware. @Synthatron_Prime Because it's entirely incorrect. 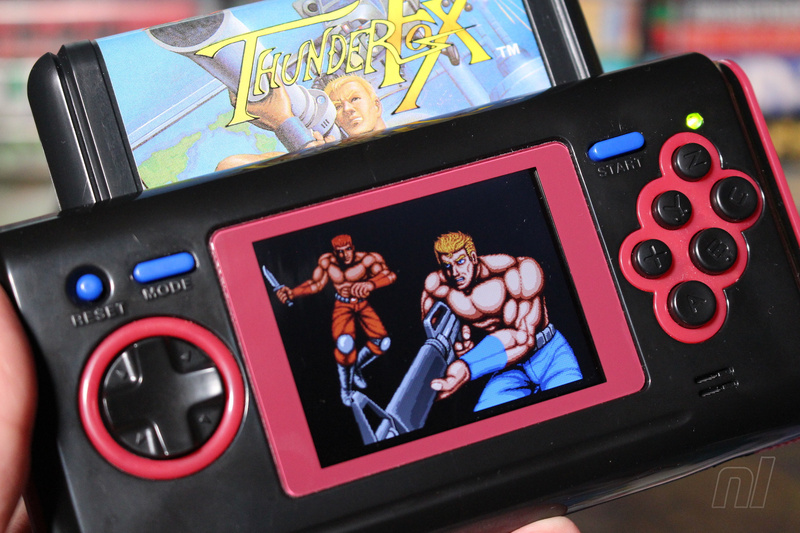 Hardware like a NES-on-a-chip isn't emulation in any way, shape, or form. It is a hardware based solution with the hardware natively executing old game code. @Atariboy Well, it's not software emulation, but based on the technical definition of the word "emulate," you could still call it hardware emulation, couldn't you? @Atariboy @Synthatron_Prime I'm big enough to admit when I've made a mistake. Although, it is a bit more embarrassing when it is something this factually incorrect =) Even more so since I've worked as a developer for years now, and have been involved with electronics projects as a hobbyist for as long as I can remember. For whatever reason, I jumped to thinking this was an ARM based SoC running software emulation, not NOAC type device. You are absolutely correct - this is a hardware based ASIC implementation, my apologies for being the one to spread misleading information. I'll leave my original post, but update it to point to your explanation. @BulbasaurusRex Yes, you can, people absolutely do. That was the one point of my original post that I will still stand by - The term emulation is still used in many ways. For example, an FPGA (And similarly, this SoC) can be said to emulate the target system in hardware. Another misconception with emulation is that software emulation is inherently worse than a hardware implementation. Either can be extremely accurate depending on the implementation - like the Higan software emulator or Kevtris/Analogue Super NT, but both can be highly inaccurate as well, like the many clone devices or poorly written software emulators. @roadrunner343 lots of people won't admit being wrong. It's admirable to see your follow up. I also appreciate @Atariboy and his clarification. @Synthatron_Prime Thanks. I will also give props to @Atariboy for that - it's not very common for folks to remain civil when calling out misinformation, so thanks for that. @roadrunner343 You're a class act. Thanks for the nice response. @Prof_Yoshtonics I must agree. I picked up a Nomad and had it modded with a modern LCD screen, the battery pack modded to become rechargeable and a region free chip that let’s you switch modes from US, PAL and Japan by holding the Mode button.